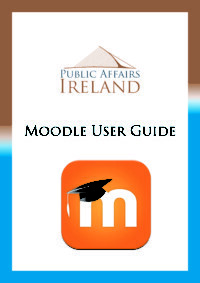 In response to the changing nature of education and training, Public Affairs Ireland are progressively rolling out a comprehensive suite of online learning courses. Currently, PAI offer professional online training courses that have been adapted from our highly-popular and successful day courses to provide an individualised and convenient learning environment for all participants. The tutors are all experts in their fields, and have been working with us for many years delivering relevant, up-to-date courses, with excellent feedback. PAI e-learning offers advanced training at a time, place, and pace that suits each learner by adapting to each participant’s schedule. Our courses combine cost-effective and highly-rated content with flexibility for busy officials and executives who may not have the time or the budget to travel for our traditional day courses. PAI online courses can be started at any time and have a flexible study time which gives each participant the opportunity to revisit modules of particular interest or reattempt quizzes. In some cases, it is possible to offer blended courses along with resource material to ensure the best quality outcomes are achieved at minimal cost.